Have you ever questioned the nature of your own reality? It’s a question frequently asked on the new futuristic HBO show Westworld, which finished up its first season on Sunday. Westworld has all the components any show would need to make it successful: robots, romance, deceit, gun fights and a cerebral plot. Along with making me question the nature of my own reality, the show has left the little hamster wheels in my brain turning about other things as well – specifically how some of the show’s common themes can be applied to business. Westworld is a theme park of sorts where guests pay $40,000 a week to interact with lifelike “hosts” (robots) through various exciting storylines, ranging from rescue missions to finding hidden treasure. It’s basically a choose-your-own-adventure that comes with zero consequences. Everything about this park has been tailored to entertain any personality type, and there are unlimited options for what you can do while you’re there. When guests first prepare to enter the park, they are allowed to fully customize their look – from what kind of gun holsters they would like to the shirts on their backs. Why would people pay so much money to experience such a world? It has to do with personalization. Similar to Westworld guests, customers in the business world crave unique, hand-picked experiences that allow them to fulfill needs and feel like they are valued. They are willing to pay more (and willing to do repeat business) for products and services that offer a great customer experience as well as advertisements and promotions that are tailored to them. Similar to humans, robot hosts in Westworld often get hurt and require surgery. One of these surgeons, Felix, dreams to be more than his current role. 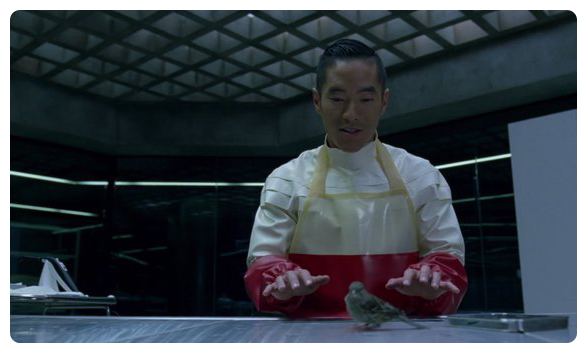 In one of the episodes, he spends his break dabbling with bringing a robot bird back to life by playing with its code, only to get berated for not focusing on his job. His desire to learn more and develop his skills is met with pushback that causes problems in the show later on. We’ve all either been a Felix or seen someone like him in the workplace. They are eager to be cross-trained and learn more, and their happiness is contingent on not becoming stagnant. Managers who don’t recognize the needs of an employee like Felix can expect a decrease in the quality of their work, or even eventually leaving the company altogether. Take it from us (and Felix) – encouraging your employees to learn more and challenge themselves is one of the best things you can do. There are numerous times in the first season of Westworld where employees, guests and hosts alike are giving off a “something just isn’t right” vibe. Ulterior motives and questionable employees make for a great TV plot, but they are toxic to companies in the real world. Westworld features several characters who are brave enough to follow their instincts and voice their concerns to higher-ups, and these attitudes should be encouraged in the business world as well. There isn’t a single company on the planet that is perfect, and silence from employees often doesn’t necessarily mean that there aren’t issues. Employees should be encouraged to voice their opinions and concerns, as well as challenge the everyday ethics of their companies. Facilitating an open, honest environment can prevent serious damage in the long-run. One part of what makes the Westworld hosts so real is the elaborate backstories that have been woven into each of their memories. They set the foundation for their personalities, affect the way they behave in the park, and give them emotional purpose. They are, essentially, their cornerstones. In business, we often forget what drew us to our jobs in the first place. Was it a desire to be creative? To put your organizational skills to good use? To help a non-profit that you believe in succeed? We all have personal and professional cornerstones that combine with our values, beliefs and interests to make us the people we are today, but they are so often forgotten. To truly be successful, and to truly make our employers successful, we must put something into our work that the hosts in Westworld lack: soul. Putting emotion, a lot of effort as well as personality into our jobs can help us and our companies engage with customers on a whole new level. Don’t be a robot! Put a little soul back into your marketing campaigns. Contact us to learn how.